For many potential students a full-time, campus degree is not an option. So could distance learning be the answer? As prospective students face up to the increased cost of higher education, universities have become keenly aware of the need to offer cheaper options. Higher education providers are, as a result, increasingly looking to develop novel, workplace-relevant distance learning versions of degrees, which they say are considerably less expensive than that of a full-time, on-campus experience. Such innovation is already paying dividends at the Open University (OU), for example, where a higher than average number of students recently signed up to a new course on the ecology and wildlife of Antarctica. 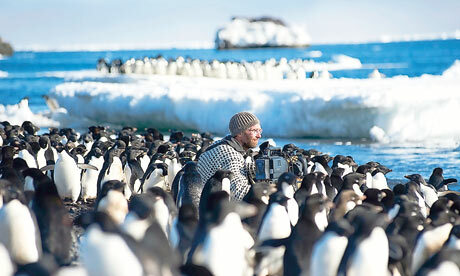 Designed in conjunction with the BBC Frozen Planet series, for which OU academics acted as advisers and presenters, the course has unique footage shot on location specifically for OU students, exclusive access to BBC archive film and an interactive study website written by Dr Mark Brandon, a polar scientist involved in the making of the documentary. As a result, the OU has seen double the enrollment numbers it would typically expect for a new course. Full Article: Distance learning | Education | guardian.co.uk.